We all know that woman who cannot bear to pass up a shoe store without stopping. I admit that I am the proud owner of over 40 pairs of Converse Chucks. I am the woman who never met a grocery store she didn't want to visit. Several years ago Wegman's opened a store in Virginia in what was a gigantic open field. I arranged to spend the night at my friend Ann's who lived just a short drive from that field, to go to the Wegman's opening. I wanted to leave the house at 7:30 A.M. Ann, not believing in the power of the grocery store, thought that was stupid. At about 10:00 A.M. we headed off to the Wegman's. About three miles from the new Wegman's, traffic stopped. Literally stopped. By 11:00 we had made it to the parking lot. There one would simply wait until a car pulled out and then park there, no matter where "there' was. The gigantic field is now a bustling metropolis. 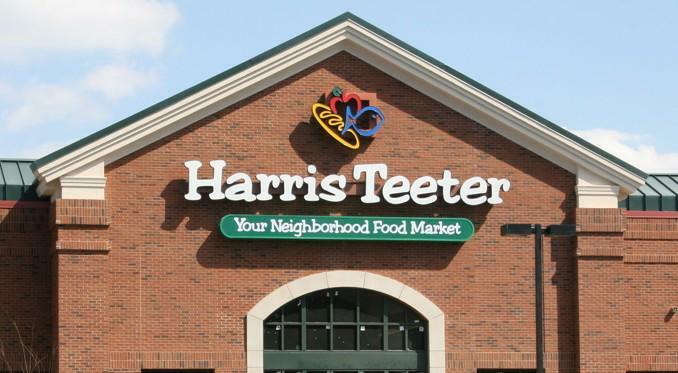 That is a long story to tell you that Kroger just bought Harris Teeter. Harris Teeter is a good old Southern grocery. That meant that one could go into almost any Harris Teeter and find Tab and Durkee's mayo. There is no Tab at my Kroger, though they do occasionally have Duke's mayo. Oh well. Shall we prepare say goodbye to the marvelous wine sales, the incomparable LaBrea bread rack, the in-house Kaiser rolls, the HT brand heaven-in-a-jar artichoke pasta sauce. Sick at heart. Glad someone else likes to roam through novel grocery stores. My understanding is that a separation of store identity will continue. In Charlottesville Virginia the two stores are in the same shopping center. I always go to Kroger's because they sell gas at 10 cents a gallon less that anyone else sells it for.